Postcard from Holland is a regular feature on this blog. On Wednesdays I post a card from my collection of vintage postcards. Today: A postcard from Alphen. 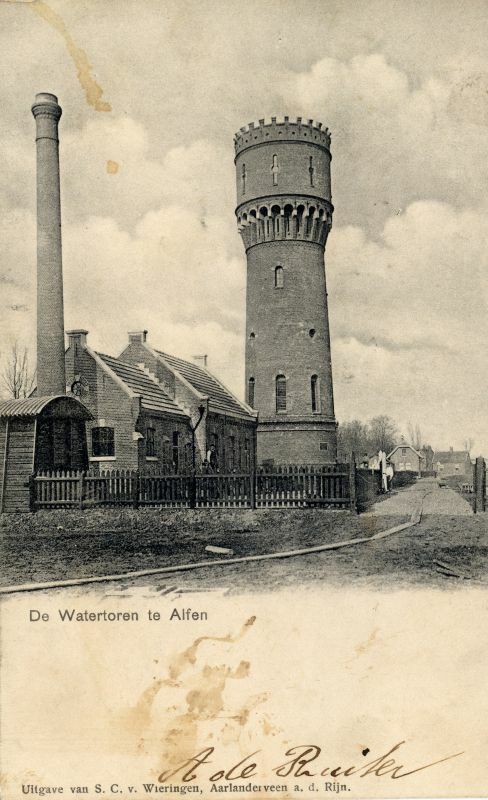 A water tower in Alphen aan den Rijn (or Alfen, as the label on the postcard states). 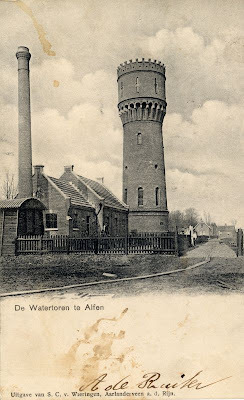 This 26.5 meter (87 feet) tall water tower was built in 1902, and demolished again in 1958. A second water tower was built in 1911. I could not decipher the date on the postmark, but the card is probably sent between 1905 and 1911.